Lenovo recently launched its K6 Power in India few days back and now its gearing up for the launch of Lenovo K6 Note in India. This phone was introduced at IFA 2016 this year along with couple of other phones. It boasts of similar features and specifications as its sibling K6 Power. This phone will be successor to the K5 Note which was launched this year in August. Lenovo tweeted about the launch of K6 Note on its Twitter page. 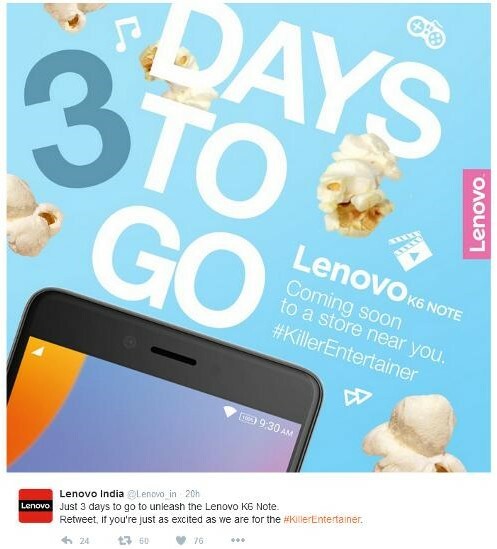 Lenovo tweeted “Just 3 days to go to unleash the Lenovo K6 Note. Retweet, if you’re just as excited as we are for the #KillerEntertainer”. As the tweet suggest, the Lenovo K6 Note may be available through offline stores only. There is no such confirmation from the brand, but our sources suggest the same. 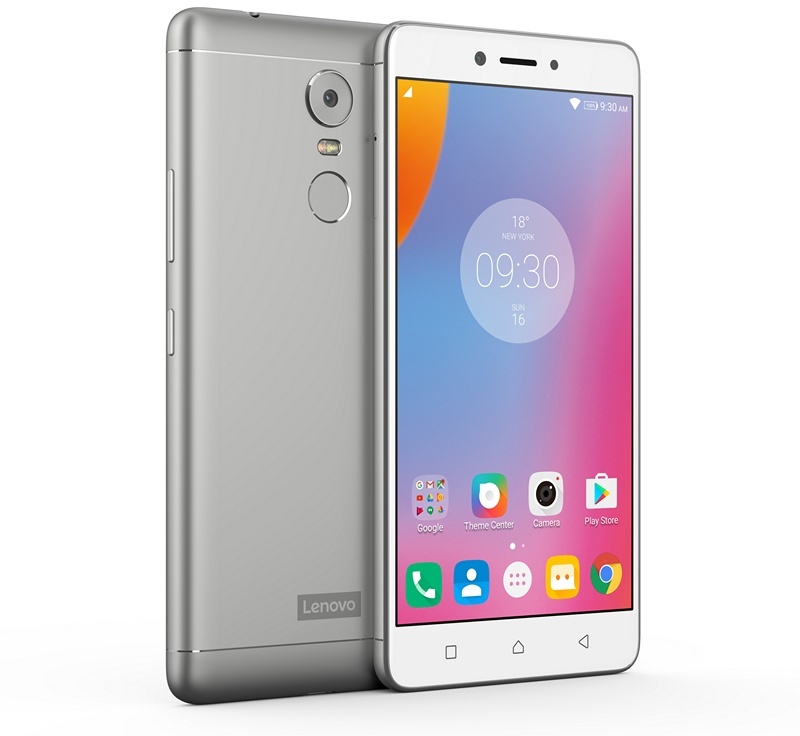 Lenovo K6 Note sports a 5.5-inch full-HD (1080p) IPS display. It is powered by Qualcomm Snapdragon 430 octa-core chipset coupled with Adreno 505 GPU. The K6 Note comes in 3GB RAM option and 4GB RAM option. It comes with offers 32GB of internal storage which is expandable upto 128 GB via micro-SD card. Camera optics include 16 MP rear camera with dual LED flash and an 8 MP shooter on the front. It runs on Android Marshmallow (6.0) and uses a 4,000 mAh battery to juice the device. Connectivity options include 4G, LTE, WiFi, dual SIM, 802.11, micro-USB port, Bluetooth 4.1 and GPS. It has got a metallic uni-body design and comes with a rear mounted fingerprint sensor. Sensors include fingerprint, accelerometer, gyroscope, proximity and compass. It weighs 169 grams and is 8.4mm thick. Like K6 Power, this one also comes with Dolby Atmos audio enhancement feature. Since Lenovo K6 Power has been priced at Rs. 9,999, we expect K6 Note to be priced slightly higher than this as it will be an offline phone. You can still expect it to cost around Rs. 12,000 to 13,000.